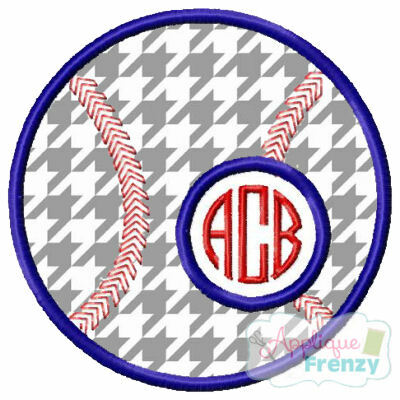 This baseball applique is perfect to add a monogram or number. �Monogram Font shown on this patch is not included with this design but may be purchased separately. The Monogram font shown shown in the picture is not included in the purchase.